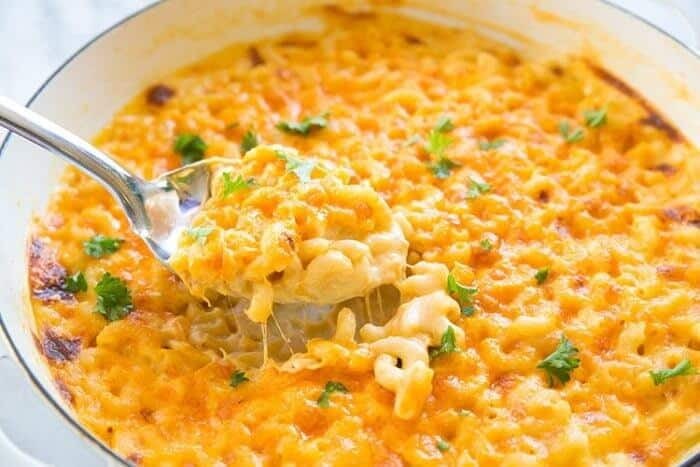 This Creamy Three Cheese Skillet Mac and Cheese is the most decadent thing I have ever eaten! I’m not going to lie, it tastes like our favourite frozen mac and cheese from President’s Choice. That is our secret, shameful indulgence once in a while. When we are too tired to think about dinner in the winter months, that mac and cheese and garlic bread is a treat! However, not any longer! 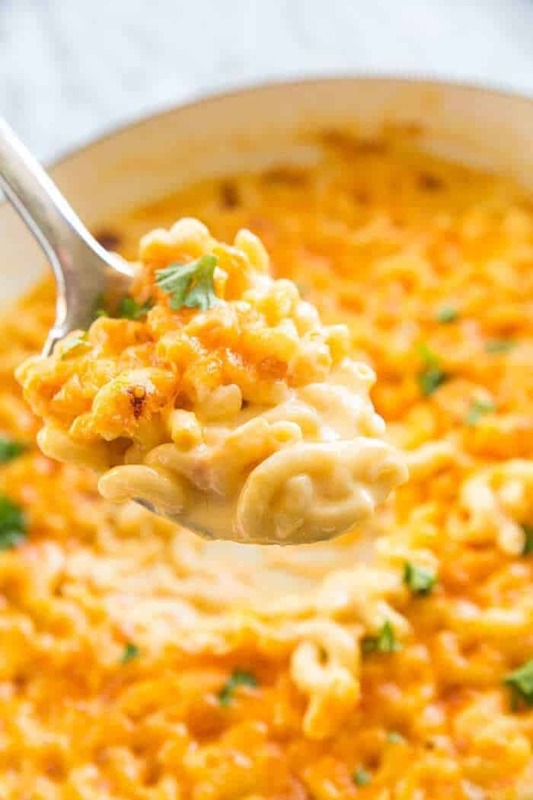 This mac and cheese recipe is for those of you that love a very creamy, cheese loaded sauce. This is actually not baked at all, this is done in a skillet and ready for your family in minutes! Skillet mac and cheese is the best! You cook the noodles in water, add in cream and then all of the cheese and you are done in minutes! Prepare the pasta in the skillet. Stir in the cheese and let them melt in. Broil for crispiness on top if desired. Now I actually didn’t know how this was going to turn out and some of you might get mad at me for one of the ingredients. Can you guess?Yes, Velveeta cheese. If you know me, you know that there are certain times that I LOVE USING VELVEETA CHEESE!!!! I’m sorry, actually no I’m not, I refuse to apologize for liking Velveeta. It is what makes my cheeseburger macaroni soup so amazing and what adds the perfect touch to my creamy potato hamburger soup. Some of you get riled up about processed cheese. I figure I’ve got bigger problems day to day than the fact that I like it once in a while. I can’t eat Velveeta plain. I swear that I used to as a kid but my adult taste buds do not love it plain. My Dad said the same thing when he tried a piece at my house, that he remembers liking Velveeta SO much as a kid, but that he doesn’t like to eat it plain anymore. 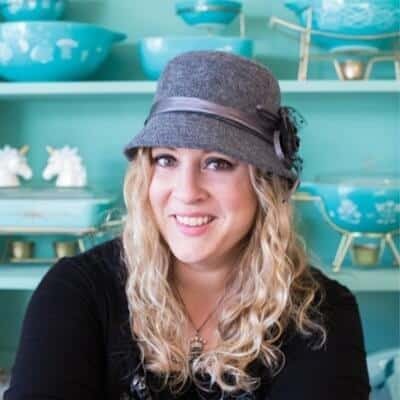 However, it is the secret to the creamiest skillet mac and cheese you are ever going to eat. The second secret? You do NOT need a roux mixture with flour to make the creamiest mac and cheese you will ever eat, in fact the flour in a roux cooks the sauce into a thicker paste, which is not what we want here. If you take a look at my photos, this is a super creamy sauce, NOT a baked mac and cheese that has a thicker sauce. I browned this in the oven after I was done cooking it on the stovetop as the perfect mac and cheese for me has a wee bit of a brown crust on it. 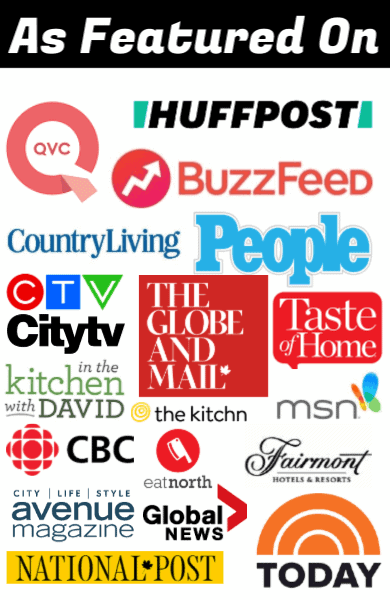 It also adds a depth of flavour that really seals the deal here for the best mac and cheese. 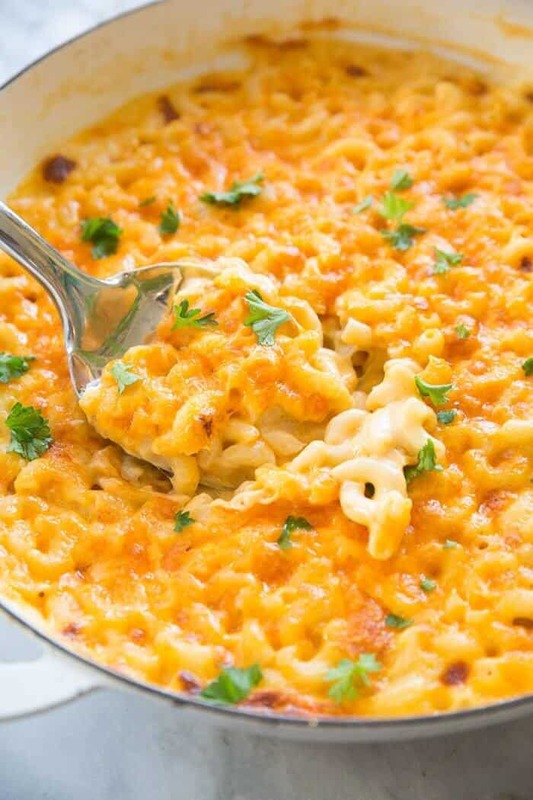 Make sure that you use strong flavored cheese or your mac and cheese will be very plain. You don’t need flour to thicken the sauce, it’s the cheese that will thicken it, which means that you are definitely getting a cheese flavor loaded sauce! I want you to count ingredients. There are SIX, one of which is water!! 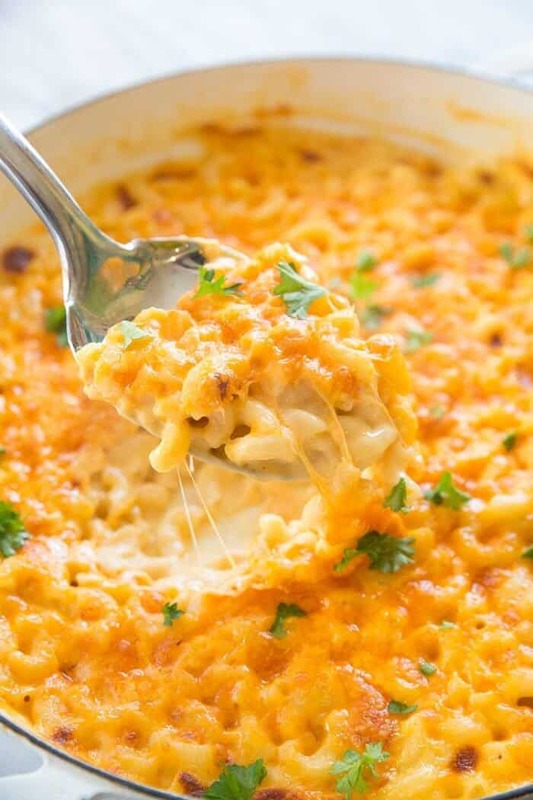 To get the best, creamiest, most decadent skillet mac & Cheese you’ve ever tasted! So really, we are talking FIVE INGREDIENTS. This is going into the regular rotation ASAP and will add to the reasons why I keep some Velveeta in the fridge at all times. Just the small block, stop judging.Now I know someone will ask and yes you can leave the Velveeta out, for sure. You are going to lose that creamy texture that you see in the photo. You can sub in more cheddar cheese instead. This is also fast because it is done on the stove top! You will never bake your mac and cheese in the oven again after you try this one. Baking it in the oven dries out your sauce, to be honest. The trick of quickly browning the top of this at the end makes it taste like oven baked mac and cheese but it has all of the creamy sauce left! 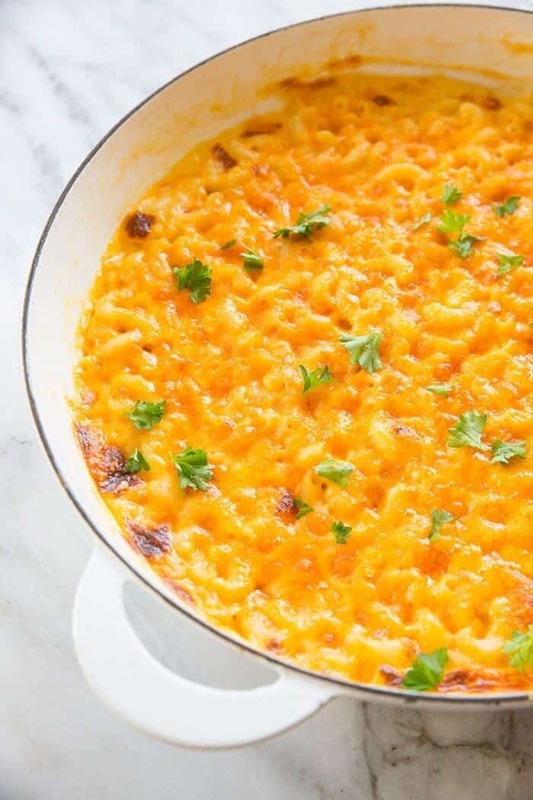 This Creamy Three Cheese Skillet Mac n' Cheese is fast, easy and made in one skillet! Did I mention that it beats ALL the restaurant mac n' cheese's I've ever had? True story!!! In a large oven-safe skillet, bring the water to a boil. Add in the macaroni and cook over medium heat on a low simmer until al dente, around 8-9 minutes, making sure to stir it often so the macaroni doesn't stick to the pan. When the macaroni is done ( the water should be gone as well except for perhaps a couple tablespoons) turn the heat down to low and stir in the cream. Mix through the macaroni. Add in 2 cups of the sharp cheese, the Velveeta and the Parm/Reg cheese. Stir in gently then remove from the heat and let sit for 1-2 minutes to melt so you don't overwork the noodles. Stir again gently, mixing it throughout the pasta. Turn your oven on broil. Top the skillet with the remaining sharp cheese. Broil in the oven until it reaches your desired cheese doneness - we like ours slightly browned with crispy bits of cheese! Remove and let cool for 5 minutes, then serve. You can sub in whatever cheese you want if you have a problem with Velveeta, BUT it will NOT be as good as this dish currently is. I had a straight sketch for the insane. I’m gonna have to try this dish soon. And I to like Velveeta cheese. It has a certain way of melting that makes it perfect for just about anything. Have you tried Creme Fresh instead of cream? Loved this receipe, so quick and delicious! I used more cream so it was REALLY creamy. So good!!! !